Hi, Fuposey! Can you introduce yourself and tell us a bit about who you are and what you do? There really isn't much to introduce myself to everyone out there but, my real name's Lidia Marlene Gaspar (mostly treated by family and friends by Marlene) and I'm usually known as simply Fuposey in my main channels! I hail all the way from Portugal and I'm mostly a low-profile hobbyist artist that shares art every so often with the time I have to spare! I'm simply someone who likes to draw and my interests are mostly video games, cartoons and every so often, my original characters. Surprisingly, not that many people know I even draw in this fashion, as it has always been something that I mostly kept to myself! I'm mostly a child by heart who has always loved the idea of someday, being like the comic book artists or cartoon series creators I have always adored, but in my own kind of way. I've always drawn for the most part, but I have already experimented with writing as well. It didn’t take us long to notice that you have a favorite character… The Phantom surely has a significant presence and a fantastic voice, so we understand the love. Can you tell us a bit more about what has drawn your attention to him? I first learned about him thanks to the very first Combat Trailer that showcased him. 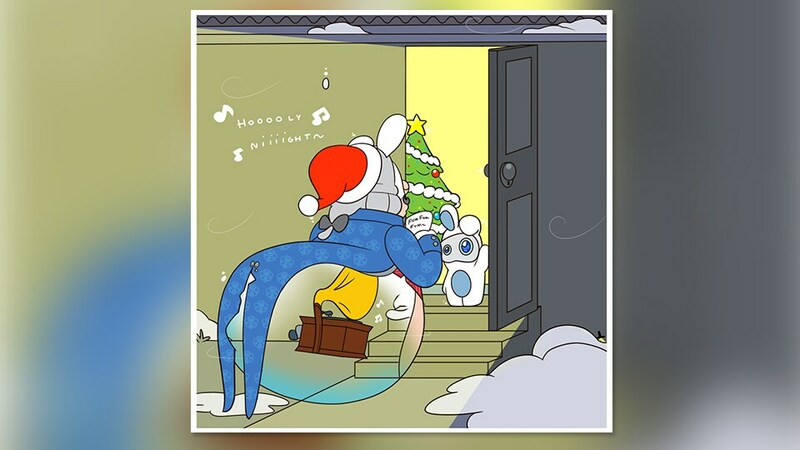 Since then, I fell enamored with the character and his boisterous singing about Mario! And honestly, it's simply quite hard to name one thing that drew my attention from him, but one of them was definitely Augustin Chemelle's wonderful singing. Hearing him the very first time, I was shocked to find a giant ghost Rabbid suddenly setting Mario ablaze with commentary about his weight and even referencing Mario Kart! 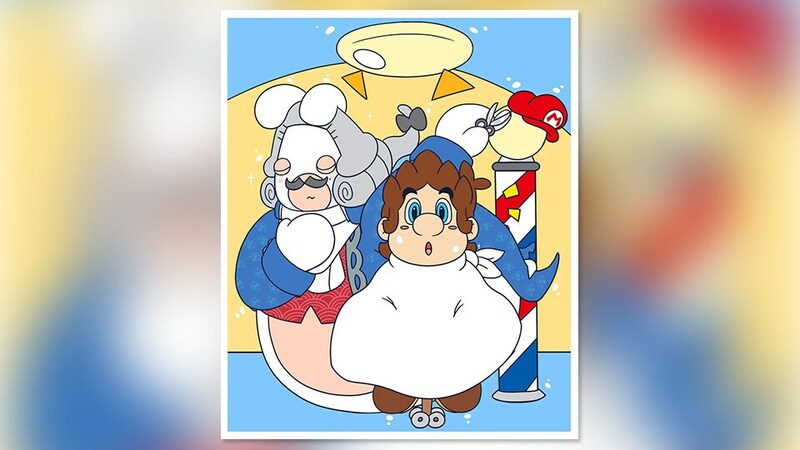 Being someone who is actually fascinated by opera singers and having a very great deal of respect for them, I also found Phantom a very refreshing take, given his definitely unique way to sing about Mario! 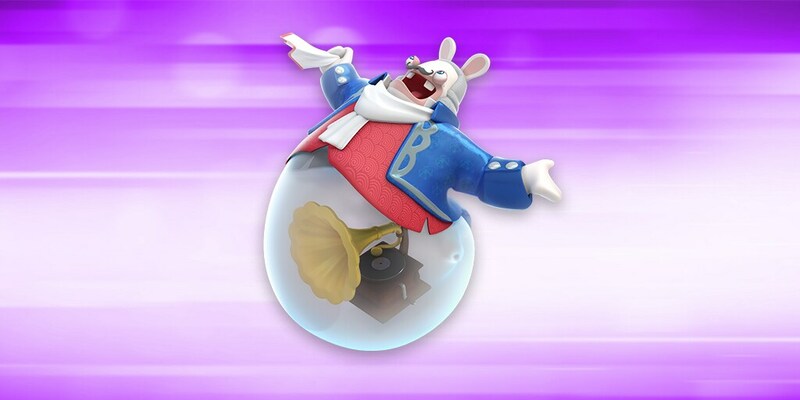 That, coupled with his wonderful design and the astonishingly adorable concept of meshing a Rabbid with a Boo and a gramophone, out came a teasing bundle of joy that came right out of a Disney movie picture! 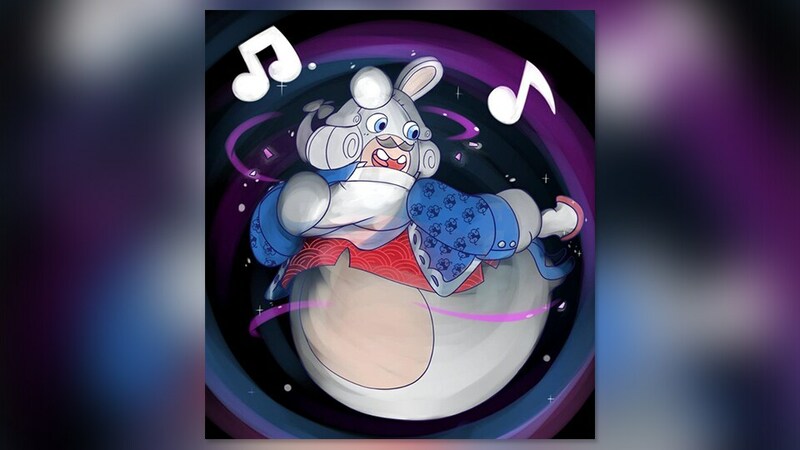 Knowing this lively character, I can only hope for another time I can see him again in another lively operetta! Do you remember when you first met with the Rabbids? I already knew the Rabbids since quite a while and their spontaneous quirky story and where they came from, but my very first contact with the series was in fact, with a birthday present from one of my brothers for me a very long time ago! I still remember it like it was yesterday and got Rayman Raving Rabbids TV Party for the DS! I still have my copy after all these years and I even crack it open every so often just because of the zany mini-games it has. I then got to try Rabbids Go Home and the soundtrack of that game is hilariously phenomenal, the band which provided the soundtrack made sure to make the game ooze with a unique charm of its own! That, coupled with the chaotic gameplay, it's definitely quite a ride to bring home! Definitely give kudos to the Fanfare Vagabontu band as well! 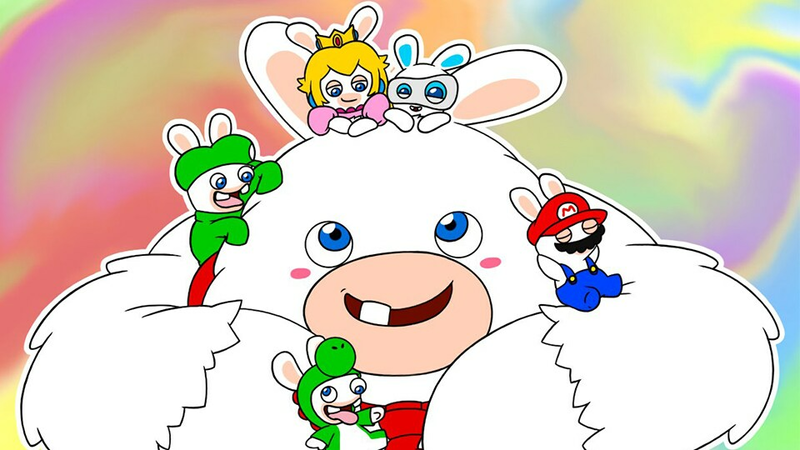 Don’t think about it too much, it has to be spontaneous: if you had to pick three elements of the universe of Mario + Rabbids: Kingdom Battle, what would be your favorite ones? That's pretty easy to tell; the music, the world environments and the slow, but relaxing gameplay! Mr. Grant Kirkhope's soundtrack really did bring the world to life and knowing that there is a track of him singing the Phantom of the Bwahpera out there simply fills me with jests, but also with a great deal of respect for him! I really do love the slower, more soothing tracks of his series, but his livelier compilations definitely spring me up to life as well! The world environments and level design, I also find to be so cleverly cunning and designed as well, hiding every nook and cranny around every corner! And I realize I ran out of elements, but the amusing humor of this game really sold me on the concept as well as each Rabbid's personality! 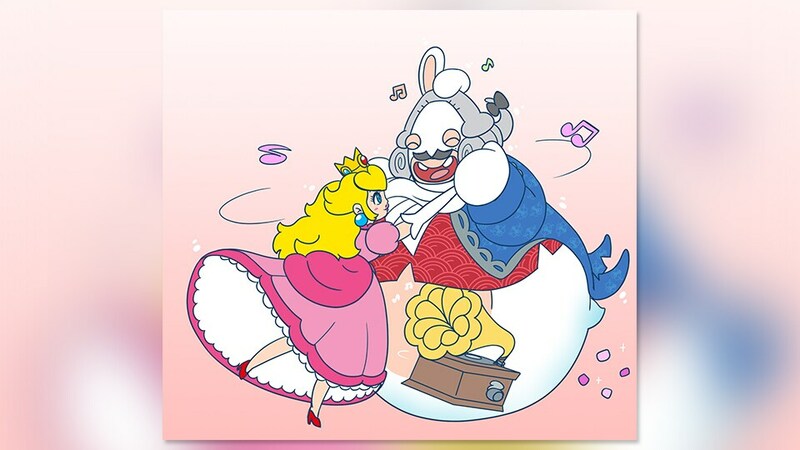 Seeing Rabbid Peach teach a lesson to a sunflower really was one of its truest highlights. 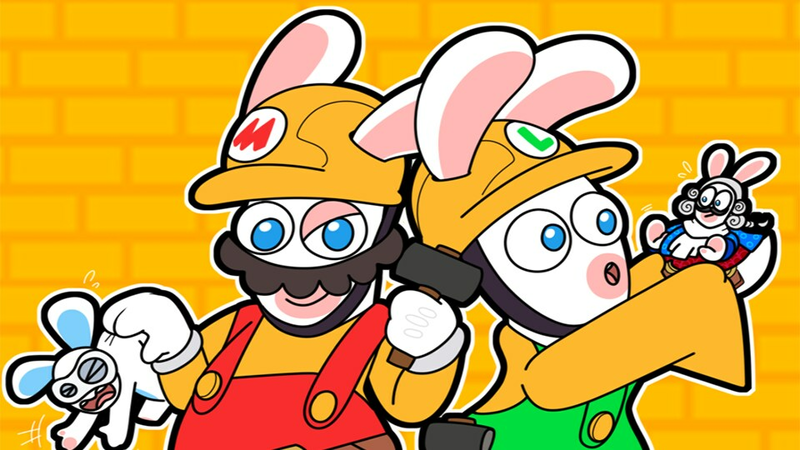 As well as Luigi peeking at the joy of two Rabbids going through a slew of selfies... And I feel that the DLC expansion only added more to that, with more of its riveting cartoon slapstick animations that emphasize on good old comedy from back in the day. How would you describe your style and where do you get your inspiration from? My style mostly comes from inspirations that come all the way from my childhood; comic books, cartoon series!... It's a bit hard to describe my style, given it's a bit unusual, but hilariously enough, a bit part of it came from a fit of temper! When I look back, I really just come from an age where I can admit inspiration wasn't really unusual from then. The earliest I remember, I started to feel inspired from small comic books like Scrooge McDuck, Donald Duck, Mickey Mouse, Turma da Mônica and other childlike books. And also partially from video games, as my very first digital art was inspired from a video game as well! I'm also very fascinated by fluid animations as well, as I feel that it's a great way to tell and show characters’ feelings, even though you've also got to realize when's the right time to showcase it and really bring emotions into it, as even the smallest gestures can truly help define what is that character's feeling, without it being too excessive. We want the rest of the community to enjoy your work: where can they find you? Pretty much anyone can find me on my main DeviantArt website and my main Tumblr as well! And very recently, I made a Twitter, which I can admit I use to vent now and then! From silly jokes to fan art or works about my characters, you can get that mostly from there! I might post more doodle either in my Twitter or Tumblr, but main work wise, I always try to submit in all channels with my usual flavor description, detailed ones mostly in my DeviantArt account! I admit there can be periods of time when I might not often post, but that's just the quirks of getting older, as we get more responsibilities! What advice would you give to young content creators to inspire them to start creating for the community? I cannot emphasize this enough and I really do feel like this is the chance I get to finally get to share this! It may seem a bit cliché, but really, do not feel afraid to share your content, do what you want to do most in your life, share about the things you love the most in your life and most of all, never give up on your dreams and even if life brings you down be it for whatever reason, please, do not let yourself be brought down by any of it and continue to push forward! Be it whatever it may be, even the silliest, wildest dreams do come true, if you really are passionate about it! Even the game itself feels like a great example I can lay here, since I can tell Davide Soliani's passion oozing every time I pick it up and play and it fills me with joy each time. Remembering the time he got Mr. Miyamoto's respect as well really does make me teary-eyed as well, as I realize anyone would have cried if their idol came forth and said they absolutely loved your work and your passions about it. Do not be afraid to create things due to fear of what others might think, it's better to share than never try at all. Be it music, art, craft, writing or anything that involves creativity in the slightest! Never be afraid of trying something that might be in the back of your head! And even if you feel like you aren't good enough, just remember that every individual begins somewhere and that we inevitably do make mistakes and it's okay. Be it learning your fundamentals or simply doing anything just out of the love you have for it is more than enough reason to share it and learn from it. It really has been a honor to be able to speak in this interview! 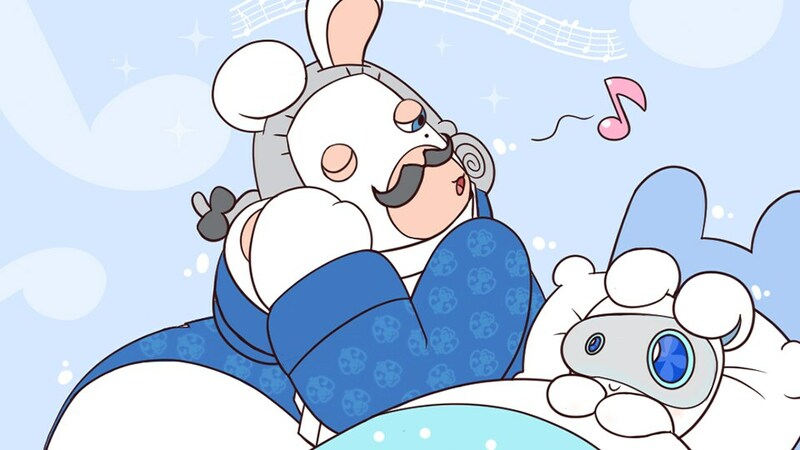 I do hope the team behind the game realizes that their game really did its best to distinguish itself from every other Rabbids game and not only that, respect Mr. Miyamoto's characters as well while keeping its cartoony light-hearted humor! And thank you for giving me your time as well! Community Portrait #4: Meet Maddie! Maddie is a self-taught artist with a passion for colour and Rabbid mayhem! The community competition is back! Take a look at our second season’s roadmap and find out which challenge is currently live. Dê uma olhada neste gráfico retrospectivo da Temporada 1! Community Portrait #3: Meet Riley! Riley is a multi-talented artist that makes Rabbids creations on various media!